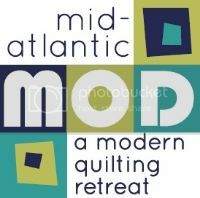 We are excited to announce that the 2016 MOD Workshop Lineup has been finalized and is posted on the "2016 Workshops" tab above. Take a look through the workshops before registration so you know exactly which ones you want to take. Thank you SO much for all the great workshop proposals. This year we had three times as many proposals as spots available, which was such a pleasant surprise! As a result we increased the number of workshops to 10 this year, but unfortunately we still had to turn some people away. Thank you for submitting your proposals - we really appreciate it and hope that you will consider submitting again in the future. In addition to posting the workshop lineup, we have also added the registration dates and link to the registration page on the "Registration" tab at the top of the page. Please review these details before you register. Early registration begins on Wednesday, November 18th at 7 PM Eastern.